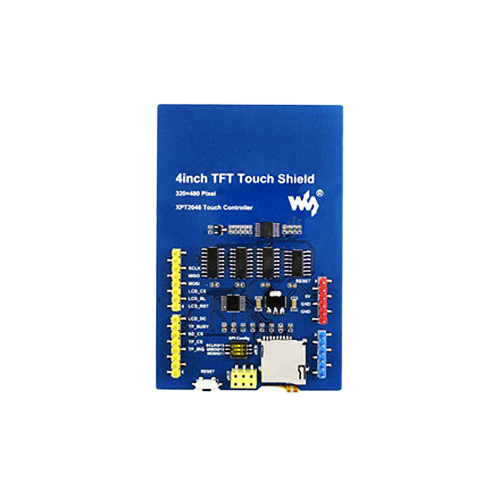 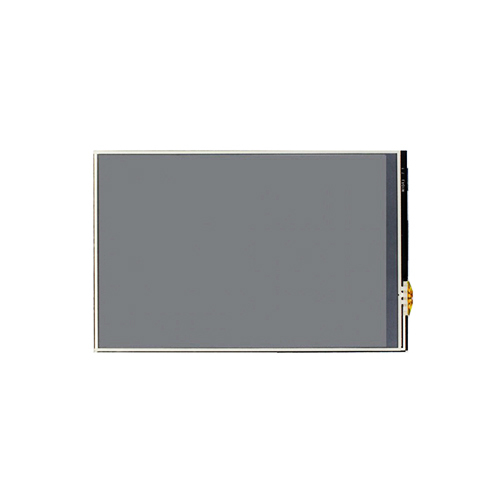 This 4inch Touch LCD Shield for Arduino is resistive touch screen TFT LCD, 4inch with a 480x320 resolution. 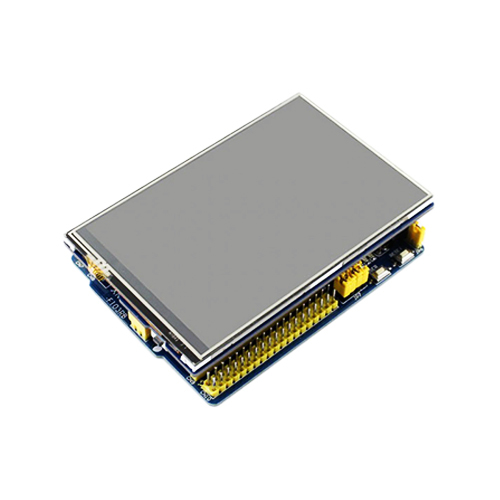 The screen has a standard Arduino interface and is compatible with development boards such as: Arduino UNO, Leonardo, UNO PLUS, NUCLEO, XNUCLEO, ect. 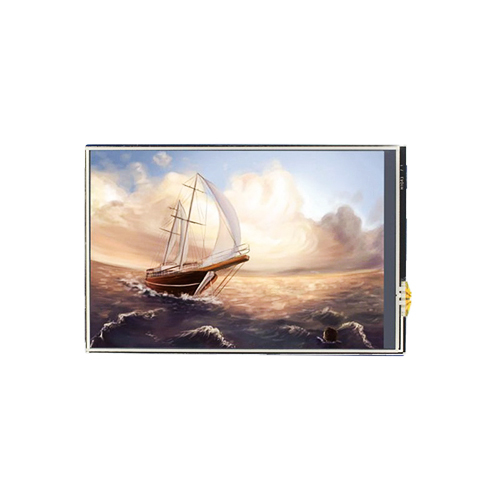 The 4" screen has an onboard stand-alone touch controller, better touching than solutions that use AD pins directly for touch control. 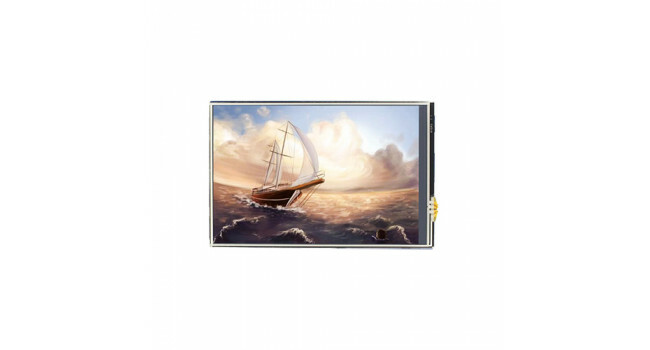 The PWM backlight control allows you to adjust the backlight to a comfortable level, and the micro SD slot provides an easy way to store photos for displaying. 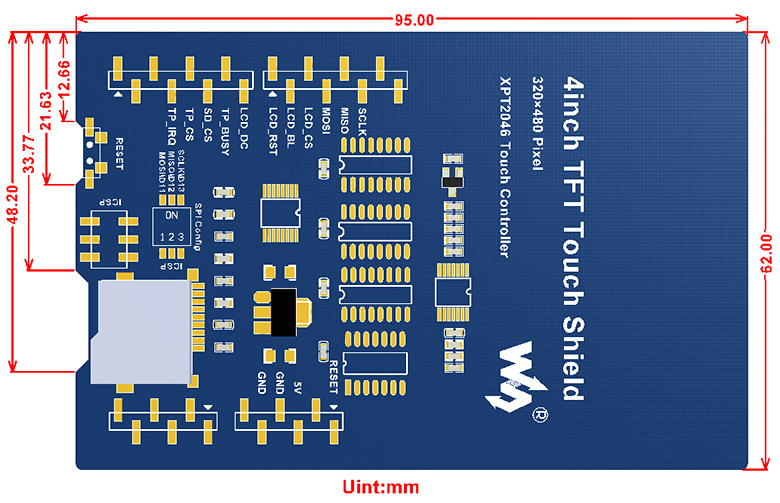 Controlled via SPI, only a few Arduino pins are used and comes with STM32 and Arduino examples allowing for more convenient porting.